I would like to share my current thoughts on Ahimsa, the Indian Philosophy of Nonviolence advocated by Mahatma Gandhi and Dr. Martin Luther King. As I look around me at the high school shootings, bombings of embassies, and wars going on all over the world, I can’t avoid looking at Ahimsa. The state of the world is obviously a manifestation of the current level of consciousness and I believe that until we raise the level of consciousness, wars and violence will continue. However, non-violence needs to occur in thought and word as well as actions. Lately, I have become very aware of how often one does not even practice ahimsa towards one’s own self. This is something I have become very aware of lately as I watch friends, family, students and clients deal with the challenges of their lives. Here are some examples: A job is lost and one person will go from feeling hostility and anger towards his boss to berating himself for a decision or action of the past that contributed to the situation. A relationship ends and from anger at the other person one moves into thought or action towards himself, such as being angry at himself for loving someone who did not love him back. Some people choose to avoid personal pain by drinking, drugs, or overplaying and hurting their own body. Becoming aware of self-violence in thought and word leads me to realize just how conscious we all need to be on every level of life if we are to truly practice ahimsa. I have heard that there are some who believe that had Mahatma Gandhi truly mastered Ahimsa, he would not have been shot. I do not necessarily agree with that as it is just as possible that he chose to allow himself to be shot to deflect some violence or to stage a lesson. However, either way one looks at it there are many levels to true ahimsa and we need to not jump to a conclusion that because we are not physically or verbally violent we have mastered ahimsa. Like so much else it starts with one level of understanding and continues to move and evolve but it is also an important journey to take if we want to affect the world in a positive manner. Thanks for your thoughtful message. Yes, I would agree. Sri Ramana used to say, “Ahimsa Param Dharma” meaning that Nonviolence is the highest duty. There are many levels of Ahimsa. Ahimsa is Sanskrit term for nonviolence and the philosophy of Ahimsa is all about being harmless to others and also oneself. It is about protecting the dignity and nurturing of all living beings, humans, animals, plants, and even the environment. In whatever form life exists, according to the philosophy of Ahimsa, it is sacred. All life is sacred. Ahimsa is the path for saints and sages in every spiritual tradition. It is easier to practice Ahimsa, when there are others who share the same philosophy. In fact, that is the beauty and the benefit of Satsang or spiritual fellowship. Mahatma Gandhi’s struggle was an uphill struggle. Neither his fellow Hindus nor the British truly believed that Ahimsa could work. Of course it can work but it requires sacrifice and patience and humility knowing that ultimately a higher power is in charge. 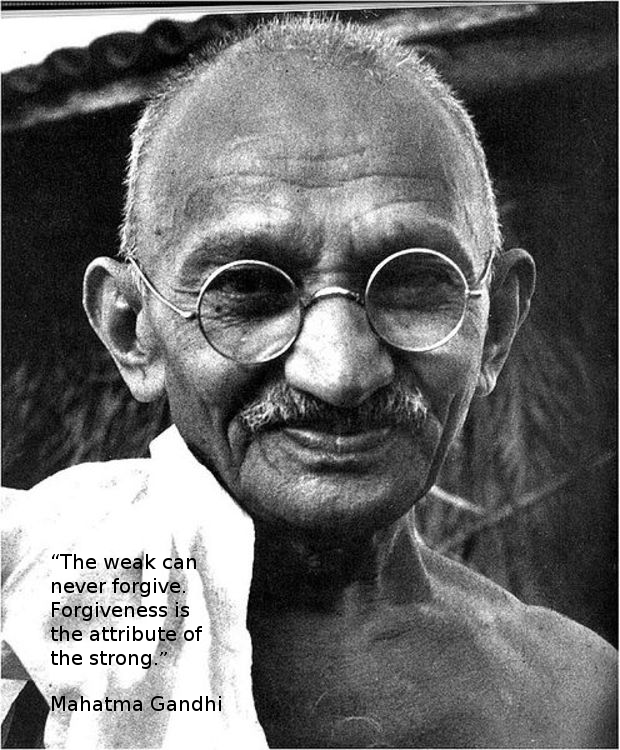 Mahatma Gandhi acted with full faith in God and his strength to put nonviolence into practice was derived from that. Our success is ultimately determined by how the practice of nonviolence changes us. Perhaps as you said, if we become aware of the self-violence and remove that from our life, we have a chance to discover our peace. If we have become immersed in nonviolence towards others as well as ourselves, then we can share the value of this philosophy more authentically with others. AHIMSA always goes with Manas,Vaak,Kaayam (which you have rightly put as Thoughts, Words and Deeds). “Intellectuals” act with “impunity” when it comes to Ahimsa, by their writings and speeches on others’ habits, traditions and culture. They claim immunity through their right for freedom of expression .They have no time to research on the “others’ habits, culture and traditions. They are in a hurry to get popularity and make quick money from their writings. Lunatics too have no idea of Ahimsa and abuse, hurt, and chatter — and people ignore them. In Tamil language ‘himsai’ is trouble. I fully agree with Harsha Ji that any living being should not be troubled eiither one who follow ahimsa should be effortless.